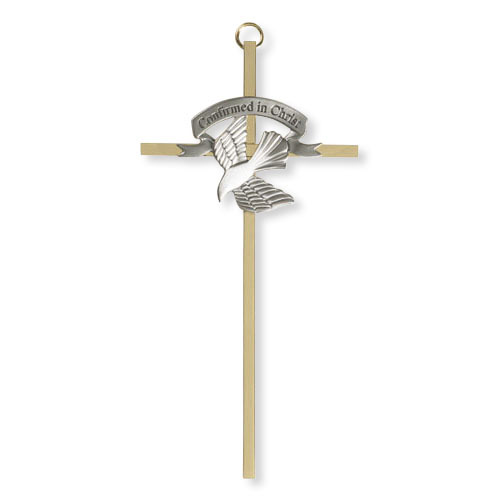 The Confirmation Blessing wall cross makes a wonderful Confirmation gift that will be treasured for years to come. The solid construction polished brass is 7 inches tall. The pewter dove affixed to the cross gives it an extra special touch, just for Confirmation.